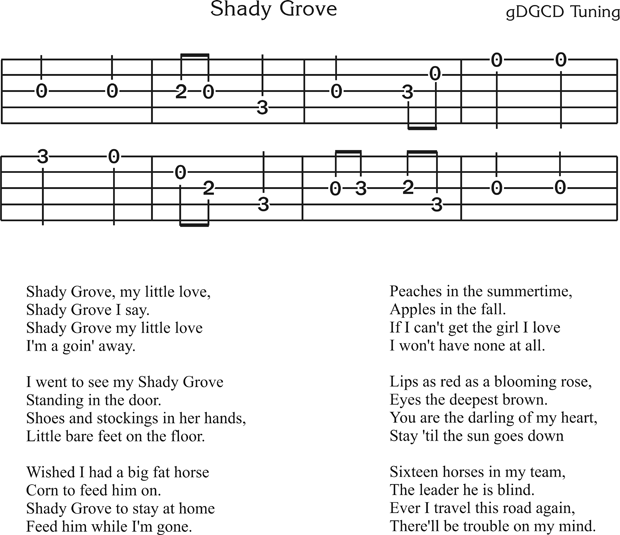 Looks most interesting site and thanks for Shady Grove. I’ve decided to start “claw hammering” again after many years of not. Just a quick note to say thank you for all the wonderful information that you provide free of charge. Just so you know, I own both of of your Ignoramus banjo books. I am a beginner who obviously needs to learn to be patient with my progress. I have the desire and passion to learn the banjo but am not around anyone to learn with so I rely on everything I read and try to interpret the techniques. I am reluctant to change the tuning on my banjo and based on your books that is something I should do and get used to? Again, thank you ….